A few days before the start of the harvest, it was clear the decks in the cellar to make sure everything is in place to receive the new harvest. Finally, we started harvesting the grapes on Sunday, August 4th at 11pm. But how does one decide the exact moment to start the harvest ? Sweet grape, tell me when I should harvest you to make a great wine. Deciding the date to start the harvest is critical to the winemaker. Optimum grape maturity is the prerequisite for the elaboration of a good wine and the expression of the terroir. In principle, the grapes are harvested when the winemaker believes that the grapes have reached perfect maturity. Yet, other parameters such as the health of the vineyard, type of wine to be elaborated, as well as weather forecasts are involved . There are three different forms of maturity: physiological, phenolic and aromatic. Physiological maturity is the maximum sugar content in grapes resulting from physiological accumulation in the plant. It is reached when the accumulation of sugar is maximum. It is also evaluated by the acidity of the grapes, by both its total acidity (g / l H2SO4) and its pH. Phenolic maturity is measured by the accumulation and quality of polyphenols, anthocyanins and tannins, in grape berries. Depending on the type of wine that is to be developed, one seeks a more or less advanced maturity. Additionally, we also consider aromatic maturity, characterized by the development in quality and intensity of aromas. These maturities evolve together, but not necessarily at the same speed, complicating the decision of the winemaker, who has therefore to make a compromise between the different parameters. In practice, the rate of sugars present in grape berries has long been regarded as a good indicator of the maturity of the grapes. Tracking maturity is traditionally achieved by regular measurements of the sugar contents and the harvest takes place when it corresponds to the requirements of the winemaker. Controlling the maturity of the grapes is based on observation, sampling and analysis of acidity and sugar grapes. The sampling is carried out plot by plot, variety by variety. Observing the berries: it gives a first overview of the health of the grapes and it may show some rot. Tasting the grapes, plot by plot: it is important to taste the pulp, skin and seeds. Each of them will give an indication of the level of maturity. In the mouth, it is important to focus on the sugar-acid balance and on the aromatic bouquet quality: too many vegetal aromas suggest that grapes can mature and develop more aromas of ripe fruit. Finally, the evolution of the seeds that should turn from green to brown, and whose consistency must become crunchy with decreasing bitterness. Analyzing the samples in the lab: measures of total acidity, pH, malic acid, tartaric acid, nitrogen delta C13 (index of the stress status of the plant developed by our laboratory Dubernet). All these are indicators which give more precision about the potential maturity of the grape and help the winemaker decide when to harvest. Generally, the winemaker takes every 2 days a few of grapes from each plot. This sampling has to follow a certain methodology for the maturity of the grapes varies from one vine to another, depending on soil, climate, and environment. Even on the same vine, grape berries can achieve different maturities according to their distance from the trunk. Then the grapes are pressed and the juice are worn for laboratory analysis. Often we rely mainly on alcohol / sugar, total acidity and malic acid. 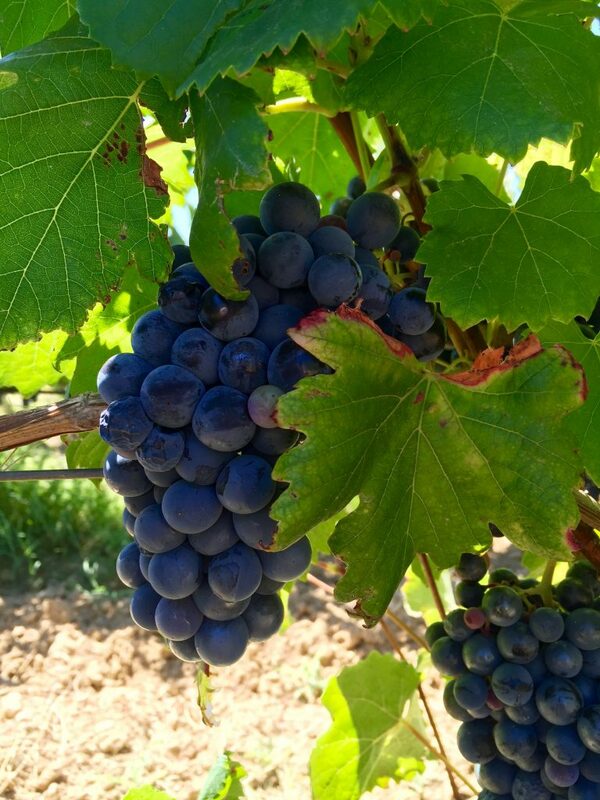 This year, the context of the vintage and the very hot weather in early September compel us to have a more comprehensive approach to all parameters. 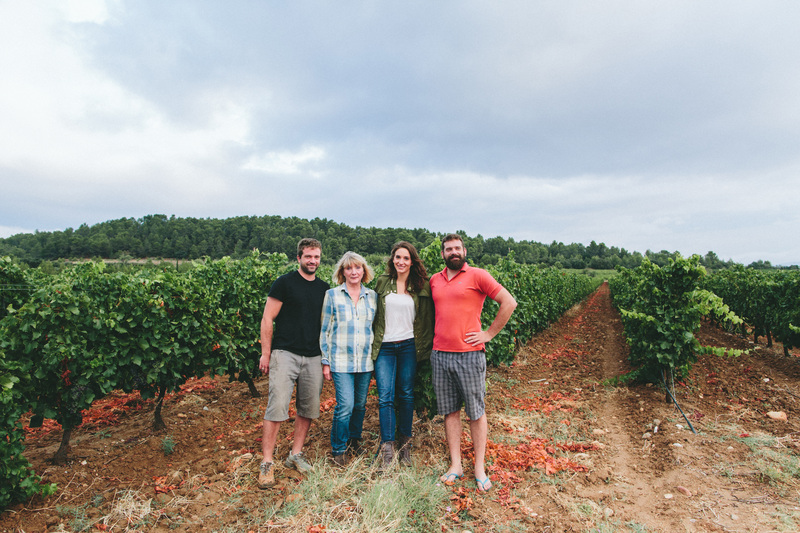 At Chateau de Paraza, we decided to start the harvest on the 4th of September at 11pm, with the Roussanne and the White Grenache.